I shared my new (to me) tan boots on this previous post so I thought it was about time I showed some photos of them on my feet. Incidentally, since my last post, Kitty has been in touch to tell me she found a pair on eBay also but is struggling to pull them on. So I should warn that they are tricky in that respect. Mine are a bit big for me as I wear a specialist insole in my flat boots so I think that's why I've not had an issue with them. But just be aware if you are looking for a pair online. I wore them today with a cosy knitted dress from Still. 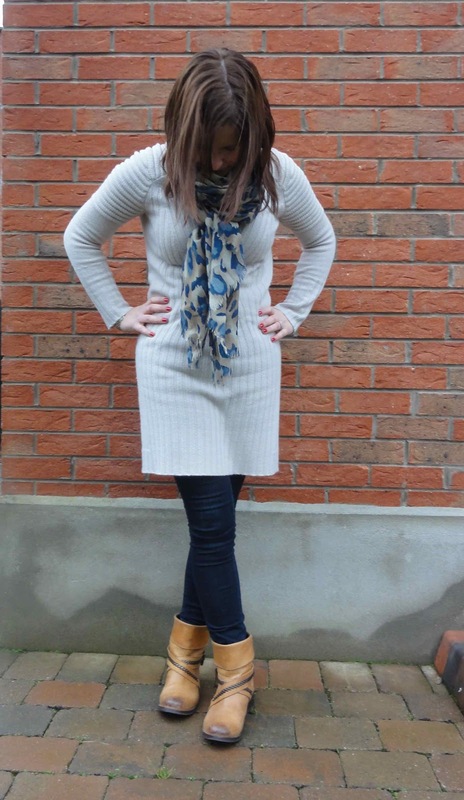 It's a cashmere mix heavy knit dress that I save for very cold days and today was one of them thanks to some freezing fog here in Belfast.. 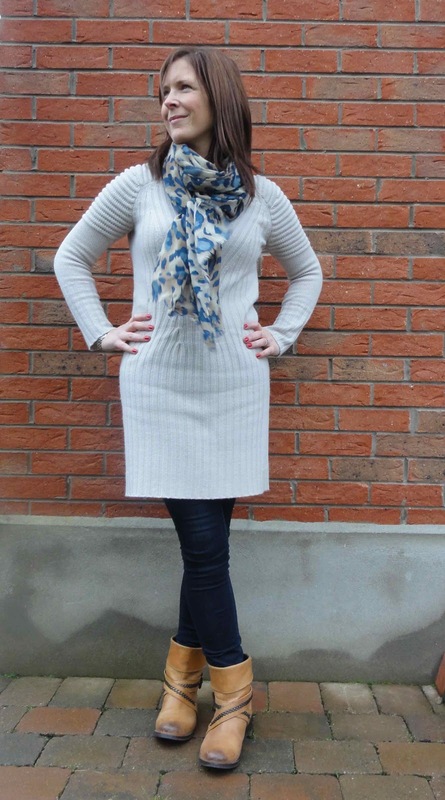 I then put on a short navy wool jacket from Primark for the school run but on seeing the photos, I agree with Mr SGS that it didn't quite work with this outfit. In my defence, it did seem better in real life! After the girls came home, I decided to try out a gift that one of my friends brought me last week. 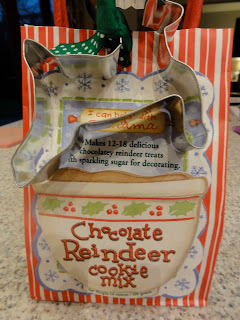 Chocolate Reindeer Cookie Mix! Basically, you get the flour mixture in this bag, along with a cookie cutter in the shape of a reindeer and full instructions. 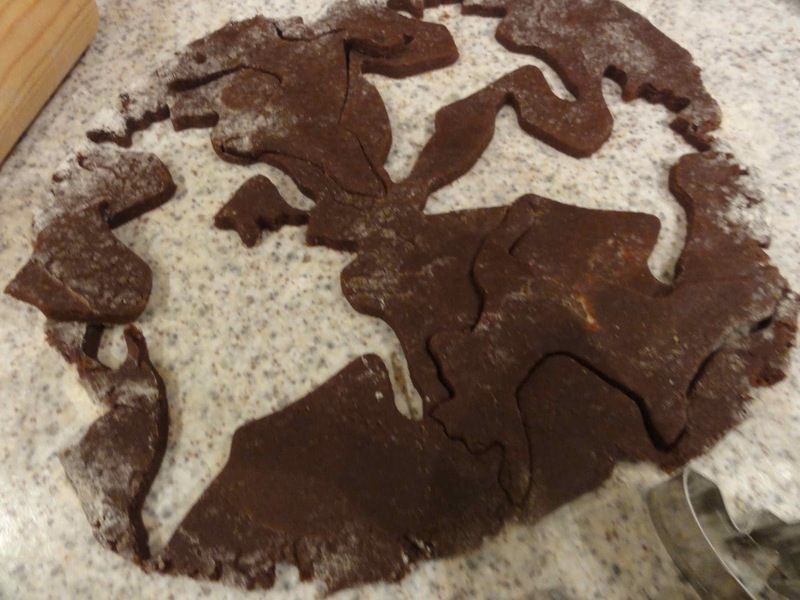 All we had to add was some butter and eggs. 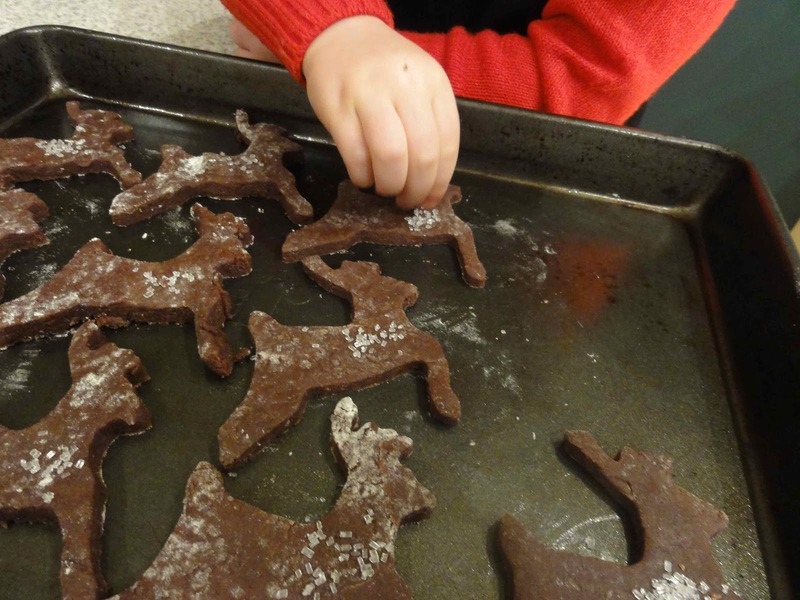 It was so much fun cutting out our little chocolate reindeer..
then the girls put sprinkling sugar on top before baking..
and here they are fully cooked but cooling. 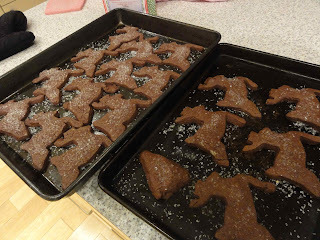 Definitely the easiest Christmas cookies I've made ever and the kit makes a great present to bring to someone over the holidays. I googled and you can pick them up in Lakeland or in John Lewis (similar). Hope your Christmas preparations are going well. Cleaning the oven is my next job - rock 'n' roll! Avril, you just LOVE boots! Love those boots, they're quite similar to the hogan ones which I want. Love the worn look on boots. I'm feeling your pain with the weather it's bloody freezing at the mo! and I love more the biscuits! Hope u all set, oh and u reminded me to clean my oven too!! Comfy and chic, Not coach and chic!! I love your boots and the cookies look so yummy! !